Johnson's social media accounts reveal he was a member of several Black Panther organizations, including The New Black Panther Party Houston Chapter. Johnson also subscribed to a Facebook group called "The Black Matrix," which aims to dismantle the system it believes "white societal elites" have put in place to "control the perceptions of its Black populations." 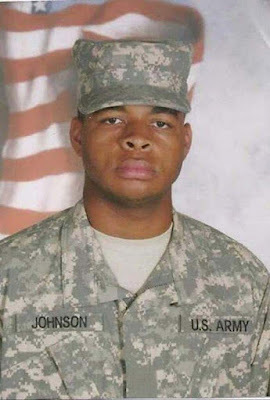 Johnson -- who served in the U.S. Army -- had involvement with Facebook communities including "Filming Cops" and "Police The Police," which describes itself as a platform for documenting and archiving police misconduct, brutality and abuse of authority. Dallas PD Chief David Brown said before they took down Johnson he said he was angry about police brutality and wanted to kill white officers. Source. 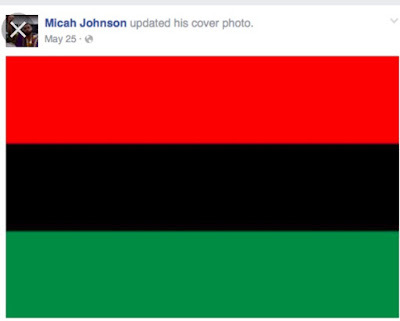 Micah Johnson’s now-deleted Facebook page provides few details about his life. 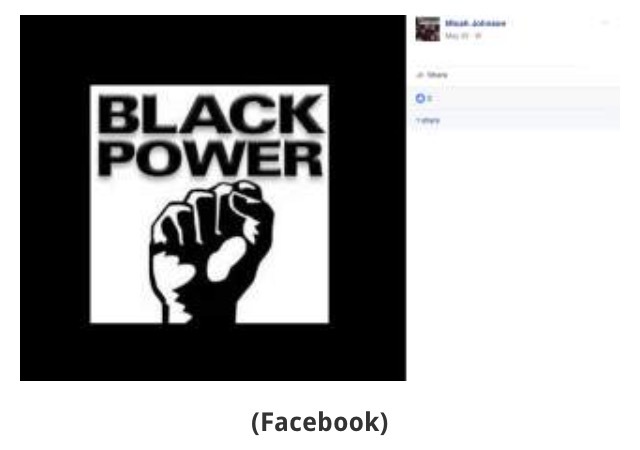 In May, he posted a “Black Power” poster, one of the few images on his page. His cover photo is the Pan-African flag. He liked pages connected to Elijah Mohammed, the founder of the Nation of Islam, and also like The New Black Panther Party and the Black Riders Liberation Party. Source. 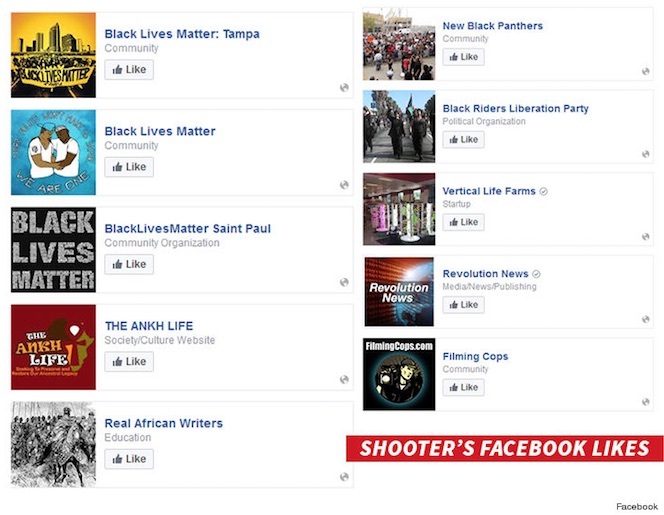 The shooter in Dallas killed five police officers, was a Black Power advocate, and had the Pan-African flag as his cover photo on Facebook (see at top). He was an Army veteran, used a sniper-like position, and expressed a hatred of whites. Johnson went on his mass shooting spree in the wake of police killings of AfricanAmericans in Baton Rouge, Louisiana, and Falcon Heights, Minnesota. There are echoes in Micah X's case of a similar individual from the past. As Peter Hernon recalls in his book, A Terrible Thunder: The Story of the New Orleans Sniper, on New Year’s Eve in New Orleans, 1972, Mark James Essex began one of the most violent and deadly sniper attacks that any American city had ever seen. 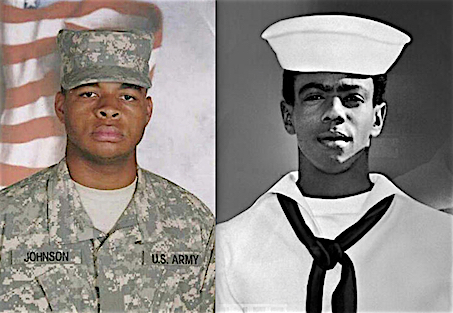 Mark Essex was a quiet African-American man who grew to hate whites in the Navy. Then he went to Harlem, New York, associating himself with the Eldridge Cleaver faction of the Black Panther party. In August 1972, he moved to New Orleans and began studying African culture, attempting to learn Swahili and Zulu. Hernon says that the killing of two black Southern University students at Baton Rouge had motivated Essex during a standoff with sheriff's deputies. Essex had taken up the Black Panther urban guerilla faction, the Black Liberation Army’s call to kill police. Essex would do that and much more. Before Essex sniper attacks were through, 600 police officers and a helicopter gunship were used to stop him. 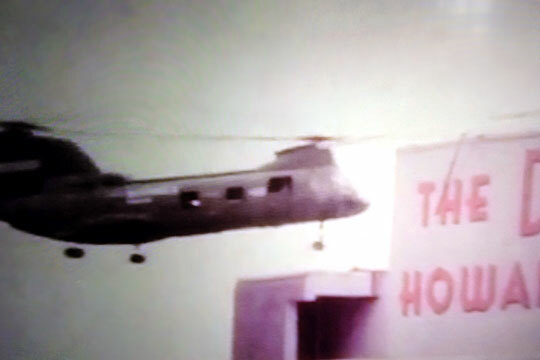 The New York Times reported on January 8, 1973, “After a day of terror…New Orleans policemen, in a borrowed Marine helicopter… swooped out of rain and darkness to provide a mobile platform for police sharpshooters to hunt down snipers on the roof of the Downtown Howard Johnson's Motor Lodge. 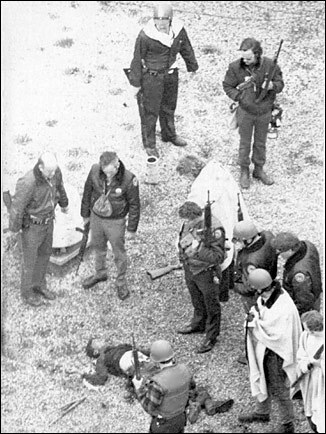 The dead sniper, who was dressed in green, was reported to have been riddled by tracer bullets.” Ten would die (including Essex and five police) and 13 were wounded (including one firefighter and four police officers). Mark James Robert Essex (August 12, 1949 – January 7, 1973) killed nine people, including five policemen, and wounded 13 others in New Orleans on December 31, 1972, and January 7, 1973. 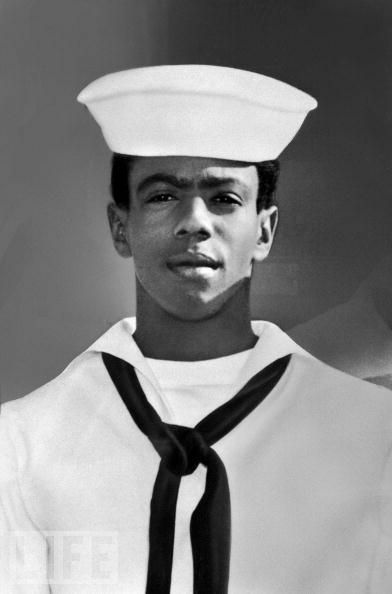 Essex joined the United States Navy as a dental technician in 1969, stationed in San Diego, California, where he claimed he was subjected to two years of ceaseless racial abuse. At the age of 23 and living in New Orleans, [Mark James] Essex began targeting policemen. On New Year's Eve 1972, Essex parked his car and went down Perdido Street, a block from the New Orleans Police Department. He hid in a parking lot across from the busy central lockup and used a 5-shot Ruger Model 44 .44-caliber semi-automatic carbine to kill Cadet Alfred Harrell, 19. Lt. Horace Perez was also wounded in the attack. Harrell was black, although Essex had claimed he was going to kill "just honkies" before beginning his murderous attacks. He also carried a Colt .38-caliber revolver (which had its serial number scratched off) on his person. Essex evaded being taken into custody by jumping a chain link fence and running across I-10, while setting off firecrackers as a diversion. Essex then ran into Gert Town, an area renowned for high crime and hostility towards police. In Gert Town, Essex broke into the Burkart building, a warehouse and manufacturing plant on the corner of Euphrosine and South Gayoso. Upon entering the building, an alarm alerted police to a break-in at the business. A dog unit with Officers Edwin Hosli Sr. and Harold Blappert responded to the call, not realizing the connection of the break-in to the attack on central lockup. When Officer Hosli went to get his German shepherd out of the back seat of the car, Essex shot him in the back. Essex then started shooting the car, shattering the windshield. Officer Blappert then crawled across the front seat to the radio and called for back-up. Blappert fired four shots at the spot where he saw muzzle flashes from Essex's rifle, then he pulled his partner's body onto the front seat of the car and waited for back-up. When the back-up arrived, they sent two dogs into the building to search for Essex, but Essex had escaped again. Officer Hosli died of his injuries on March 5, 1973. At 10:15 a.m. on January 7, 1973, Essex shot grocer Joe Perniciaro with his .44 Magnum carbine and next carjacked Marvin Albert as he sat in his 1968 Chevrolet Chevelle outside his house on South White Street. Essex drove Albert's stolen vehicle to the Downtown Howard Johnson's Hotel at 330 Loyola Avenue in New Orleans' Central Business District, across the street from City Hall and the Louisiana Supreme Court. After almost hitting a startled motorist in the hotel's parking garage, Essex began to climb the stairs, only to find the fire doors locked on floor after floor. Gaining entry from a fire stairwell on the 18th floor, the top floor of the building, Essex startled three Howard Johnson's employees, all of whom were African-American. Essex told them not to worry, as he was only there to kill white people. The employees did not share his racist views and promptly notified the authorities. In the hallway in front of room 1829, Essex found 27-year-old vacationing Dr. Robert Steagall and his wife Betty, a couple from Virginia enjoying a belated honeymoon. After a struggle with Dr. Steagall, Essex shot him in the chest and shot Betty in the back of the head. The Steagalls both died of their injuries. In the room, he soaked telephone books with lighter fluid and set them ablaze under the curtains. Essex dropped a Pan-African flag onto the floor beside the bodies of the couple as he left. On the 11th floor, Essex shot his way into several rooms and set more fires. On the 11th floor, he shot and killed Frank Schneider, the hotel's assistant manager, and shot Walter Collins, the hotel's general manager. Collins died in the hospital three weeks later as a result of his gunshot wounds. The police and fire department quickly arrived. Two officers tried to use a fire truck's ladder to enter the building, but were shot at by Essex. A few minutes later, Essex shot and killed NOPD Officers Phillip Coleman and Paul Persigo from his perch on the 18th floor. Times-Picayune photographer G.E. Arnold took an iconic photo as Coleman died of a head wound in Duncan Plaza. Arnold also captured a shot of a wounded Eighth District NOPD officer, Ken Solis, shot in the shoulder and leaning against a tree as another officer, Dave McCann, was trying to stop the bleeding, all while other police and bystanders take cover. While trying to rescue trapped officers, Deputy Superintendent Louis Sirgo was fatally shot in the spine by Essex. Lt. Lewis Townsend, a Tulane medical student, walked into the open field to carry Sirgo out of the line of fire, then returned to class. Seeing the story on TV, Lt. General Chuck Pitman of the United States Marine Corps offered the use of a CH-46 military helicopter to assist the police officers. The helicopter was loaded with armed men and dispatched to the hotel. By this time, Essex had retreated up to the roof of the building where he and the helicopter exchanged many rounds over many hours. As nightfall came, Essex managed to hole himself up in a concrete cubicle that would protect him in the southeast side of the roof. As he stepped out once again in the open to fire again on the helicopter, and after hitting the helicopter's transmission, Essex was barraged with fatal gunfire from police sharpshooters on the roofs of adjacent buildings as well as the automatic weapons aboard the helicopter. An autopsy later revealed more than 200 gunshot wounds. 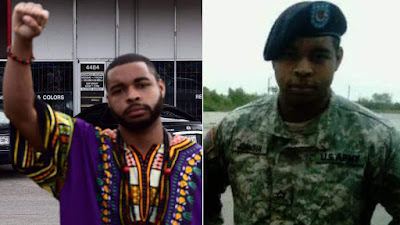 Both were veterans, had the Baton Rouge precursors of police killing blacks, used Pan-African flags, followed Black Power movements, employed sniper shooting sprees, and left five police officers dead. Both were killed when law enforcers used unconventional killing machines - in the case from 1973, a military helicopter, and in the latest, a bomb carrying robot. Micah X. Johnson and Mark James Essex. Looking at the names, I am struck by the X appearing in both. With the name Mark, I could not help but blurt out: “X marks the spot,” since that summarizes my research here with Google Maps on the Gaia Grid. Because I grew up in a neighborhood of NYC just North of Harlem, then the only Muslims I knew of were Black Muslims, usually followers of the Nation of Islam, whose great leader Elijah Muhammed recognized the potential of a young black man named Malcolm Little. Elijah told Malcolm to ditch his “white slave-master” name and replace it with a simple X. If we go back to the Trinidad, CO train-car accident site, County Road 32 is only a half-mile long, its Eastern termination on the RR crossing and its Western end being the area just North of Trinidad called El Moro. El Moro is the Moor and the Moor is the medieval designation for Muslims, specifically Black Muslims who came from North Africa to Spain and Italy. Think of Shakespeare's tragedy “Othello” with Othello and Iago being Moors, whose race is traditionally interpreted as black from Africa. And, in 1953, Justice Antonin Scalia graduated from Xavier High School in NYC, not only an elite academic Jesuit prep school, but also including a Regiment (Junior ROTC) though no longer mandatory after 1972. Contrast the militant nature of St. Francis Xavier with the other St. Francis, the one of Assisi, the peace-loving friend of animals. The synchropinquity of the Dallas police shootings taking place just 1/4 mile East of Dealey Plaza suggests an obvious connection to the JFK assassination in New Orleans via the Essex murders in 1973 --- the times and places spent there by Lee Harvey Oswald. Here is a 5 minute video tour of LHO's homes in N.O. Back to my latitudes and longitudes. First of all, New Orleans itself contains the coordinates of 30° N and 90° W.
I take the last New Orleans address of Lee Harvey Oswald, during the 4 months he lived there between May and September 1963.